Sunderland v West Brom – Will the Pulis Effect Continue? The “Tony Pulis Effect” seems to have gathered pace over the past week at the Hawthorns. After two moderately disappointing performances against Spurs and Burnley, the Baggies produced two excellent displays to dispatch both Swansea and West Ham at the Hawthorns scoring six goals without reply. While the excitement of the FA Cup quarter-final draw has dominated most fans’ thoughts in recent days, the team must now turn its attention to Saturday’s trip to the Stadium of Light. In contrast to the last two matches for West Brom, the Black Cats have endured two disappointing defeats to sides they would have expected to beat. In their last league match, Sunderland suffered a 2-0 home defeat by Queen’s Park Rangers, the West Londoners’ first points away from Loftus Road this season, which allowed Albion to leapfrog the Wearsiders in the table pushing them down into 15th place come Wednesday evening. That was followed by another 2-0 defeat, this time in the FA Cup to giant killers Bradford City at Valley Parade. This is a continuation of a run that has seen Sunderland pick up just one Premier League victory in the eight games they have played since the heights of a win over local rivals Newcastle United just before Christmas. After hearing Gus Poyet blaming the pitch and the referee following their cup exit on Sunday, Guardian journalist, Barry Glendenning, was moved to describe him as a “one man Uruguayan excuse generator” following a series post-match interviews blaming defeats on match officials, club officials, fans and his players, but never a hint that he, himself, may have been at fault. Poyet has since written an open letter to fans appealing for unity, but there is little doubt that another defeat to a side in the bottom third of the table would surely leave him teetering on the brink. If the recent history in this fixture carries any weight, there is a good chance that Albion could indeed inflict that defeat. The Baggies have gained more Premier League points (28) against Sunderland than against any other club and last season’s 2-0 defeat at the Stadium of Light is their only defeat in the last ten fixtures between the clubs, seven of those being victories. There have been a few memorable trips to Wearside in recent years for Baggies fans, from the 2-1 FA Cup win in 2002 when Albion were a division below their hosts, to that infamous smash-and-grab raid in 2004 when Lloyd Dyer broke clear in injury and set up Jason Koumas to score the goal that effectively secured Albion’s return to the Premier League at the first attempt. Albion’s flying start to the season in 2012 saw them win 4-2 at Sunderland to put them third in the table. Current Baggies midfielder, Craig Gardner, evidently had a premonition at some point during the game – having scored Sunderland’s first to make it 2-1 he went on to score an own goal in stoppage time just to even things out! 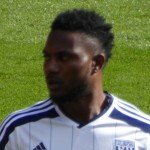 Another player who made the switch to the Hawthorns from the Stadium of Light is Stéphane Sessègnon, and he soon showed his new colours by scoring the opener on his Albion debut against Sunderland in a 3-0 in September 2013. Going in the opposite direction in the close season was Billy Jones. 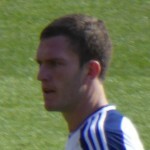 He was a popular figure at the Hawthorns but declined the opportunity to extend his contract and opted to move to Wearside on a free transfer – time will tell as to whether that was the right decision. Jonas Olsson has completed his recovery from injury and played 90 minutes in the Bimingham Senior Cup semi-final on Tuesday night and is now available for selection. He wasn’t deemed worthy of a starting place under the latter days of Alan Irvine’s reign but it remains to be seen whether Pulis will select him. Three of Albion’s senior full backs, Gamboa, Pocognoli and Davidson, also played in that fixture and will have been looking to stake a claim for a first team start although Pulis has preferred to play centre backs in the wide defensive roles in recent weeks. Albion’s only real injury doubts are with Victor Anichebe, who is still struggling with the groin strain he picked up at Turf Moor, and Youssuf Mulumbu who is not yet recovered from the hamstring injury he suffered while at the Africa Cup of Nations with DR Congo. New signing Jermain Defoe is a doubt having missed the defeat to Bradford with a calf injury, while Lee Cattermole could well return having not played so far in 2015. Giaccherini, Reveillere, Buckley and Rodwell are all doubts. The early stages of this game could be crucial. If the Baggies can get an early lead, it’s easy to see the home fans turning on their team and, with confidence at a low ebb, Sunderland may find it difficult to recover. 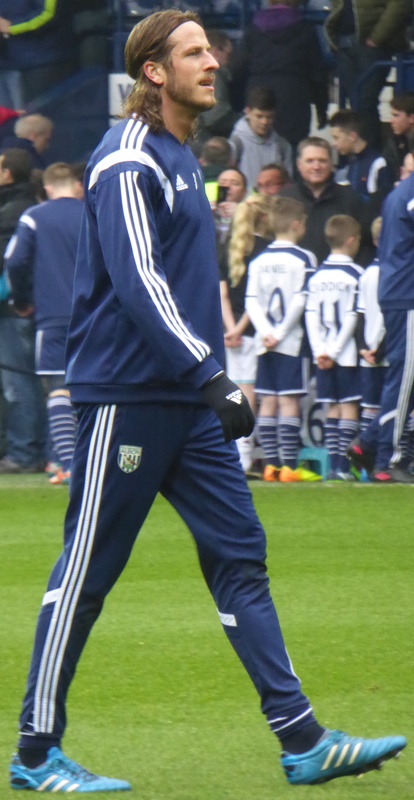 However, Pulis tends to be more conservative away from home and he will be happy with a point. For that reason, I think that is what he will get.